You have been studying hard and now Medford BMW would like to help reward you for that. It's time for the Ultimate Driving Machine®! Medford BMW has made it easier than you might think with a special program offered exclusively to qualifying college graduates. If you qualify for this program, you're eligible for a $1,000 incentive, plus our best available rates when you lease or finance a New BMW. 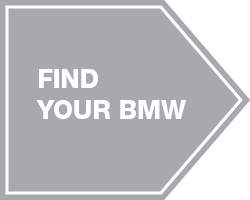 Customers looking to purchase a Certified Pre-Owned BMW are eligible for a $750 incentive. Recent and upcoming graduates from all community colleges, colleges and universities are welcome, including Southern Oregon University, Rogue Community College, University of Oregon, Oregon State University, Abdill Career College and Pacific Bible College. Please contact us here at Medford BMW in order to find out whether you are eligible for the BMW College Rebate. To learn more about this special offer, including any additional program requirements, please visit Medford BMW in Medford, convenient to Ashland, Grants Pass, Central Point, Jacksonville, Rogue River and Eugene Oregon. Finance and lease terms based on credit score. Program subject to change. See yourBMW of AnchorageClient Advisor for most current Program. Information provided by bmwusa.com.